Argument preview: When the Tennessee Valley Authority’s activities cause personal injury, may it claim discretionary policy immunity from liability? When sued for a common-law tort, the United States government enjoys the benefit of a statutory exception to liability that prevents judicial second-guessing of executive policy decisions. The question before the Supreme Court in Thacker v. Tennessee Valley Authority is whether the same “discretionary function” defense should be judicially implied for a tort suit against a federally chartered corporation engaging in what is arguably commercial activity. 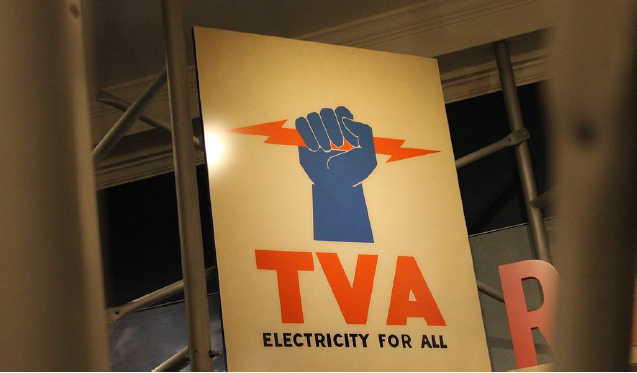 The Tennessee Valley Authority, a federal government corporation, is the nation’s largest electrical-power utility. In 2013, the TVA was stringing a power line above the Tennessee River when the pulling process failed, dropping the line down into the water. Gary Thacker and his friend Anthony Szozda were participating in a local fishing tournament. They came down the river in a boat at high speed, just as TVA employees were raising the line out of the water. The boat ran into the low-hanging power line, which struck Thacker in the head, causing severe spinal injuries, and instantly killed Szozda. Thacker sued the TVA for damages, claiming that the corporation had failed to use reasonable care in installing its power line, warning boaters of the hazard it had created, and responding to the emergency. The district court dismissed the tort suit, and the court of appeals affirmed. Both courts found that the TVA’s installation of the power line raised public-policy concerns about safety, costs, and environmental impact. The courts held that the TVA was shielded from tort liability by a discretionary function exception. 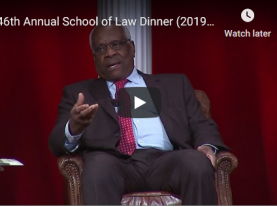 In deciding whether the TVA is entitled to invoke a discretionary function exception to tort liability, the Supreme Court will have to choose between two competing lines of precedent. On one side is a series of decisions carefully shielding the United States government itself from tort claims that implicate public policy. 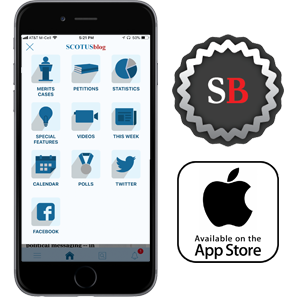 Set against those liability-narrowing decisions is a distinct line of Supreme Court cases that treat government corporations and similar entities as having been released into the commercial world and therefore broadly subject to liability in contract and tort. When tort claims are brought against the United States based on the negligent conduct of federal employees, the statutory basis for the claim ordinarily is the Federal Tort Claims Act. Enacted in 1946, the FTCA expressly waives the sovereign immunity of the United States for claims based on state tort law. The Suits in Admiralty Act, which waives sovereign immunity for maritime claims against the United States (and which the government asserts should apply in the Thacker case), contains no explicit discretionary function exception. Nonetheless, every circuit to address the issue has held that an implicit exception must exist. Other Supreme Court decisions, however, have said that sovereign immunity is not wholly abrogated even for government corporations that engage in largely commercial activities. The court’s 2015 decision in Department of Transportation v. Association of American Railroads stressed that Amtrak remains “a governmental entity for purposes of separation of powers analysis under the Constitution,” at least when it is acting to set regulatory metrics and standards for performance. Created during the New Deal, the TVA was described by the Supreme Court in Pierce v. United States as “a corporate entity, separate and distinct from the Federal Government itself.” The TVA is operated by a board of directors, appointed by the president and confirmed by the Senate. Employee salaries are set by the board, and employees are not subject to federal civil-service laws. The TVA’s board chairman and chief executive officer are selected by the board, not appointed by the president. Under 16 U.S.C. § 831c, the TVA may sue and be sued in its own name, with any judgment paid from TVA assets rather than the federal treasury. The TVA does possess important governmental powers, including eminent domain, and is charged with improving navigation and flood control for the Tennessee River. The TVA is also authorized to construct power plants and sell the generated electricity in the marketplace. Thacker argues that the TVA is the equivalent of a private commercial enterprise when engaged in power production and transmission and not plausibly engaged in governmental policymaking, and that the corporation should therefore not be exempted from tort liability. In response, the government observes that, in the context of the Federal Tort Claims Act, as said in Indian Towing Co. v. United States, the Supreme Court has refused to be “push[ed] … into the ‘non-governmental’-‘governmental’ quagmire that has long plagued the law of municipal corporations.” Even when the government’s behavior appears parallel to commercial activities — such as manufacturing and transporting fertilizer or the day-to-day operation of a savings and loan financial entity — a discretionary function defense has been successfully invoked. In the 1991 FTCA case United States v. Gaubert, which involved a federal takeover of an insolvent financial institution, the Supreme Court articulated “a strong presumption” that federal employees in a regulatory capacity have “consider[ed] the same policies which led to the promulgation of the regulations.” If a regulatory decision is “susceptible to policy analysis,” then the government may assert the discretionary function exception without being subject to an intrusive examination into the substantive weighing of policy concerns. The Supreme Court declined to review the application of the discretionary function exception in the Thacker case, agreeing to consider only whether the discretionary function defense is available to the TVA. Nonetheless, if the court implies the defense for the TVA, it presumably needs to offer some guidance on the scope of the immunity.